Posted at: 3/30/2014 07:50:00 AM . Yesterday I told you about the new "star codes" from Starbucks. It seems there are additional codes floating around right now. To redeem the code, just login to Starbucks.com and type in the code. It's that simple. You can only redeem two codes per day but if these codes last (expiration unknown) you should be able to get 20 stars total within two days. That's more that enough for one free drink and to get you half way to the next drink. 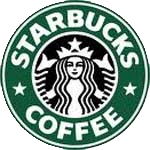 Edit: Promotional code was removed following an email request from a Starbucks representative.